Get the keys to a new Volkswagen that’s sure to upgrade your time on the road. Our VW dealership in Tampa, FL, has plenty of new Volkswagen models for sale. Tackle your daily commute with a fuel-efficient VW Jetta or Volkswagen Passat sedan. Or, if you need more room for family and friends, buy or lease a Volkswagen Tiguan SUV. We have the award-winning Volkswagen Golf lineup and the 3-row VW Atlas SUV for sale, too. Regardless of which new Volkswagen you love best, you can drive home in a quality new VW for a great price at our Tampa VW dealer. 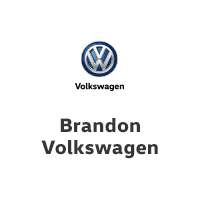 Explore our new Volkswagen specials before you shop to find out how you can save money at Brandon Volkswagen in Tampa!